Would you drive a car without a dashboard? Not likely. The advantage of images over text and numbers when you need to present information is that your brain registers and recognizes trends in images 60,000 times faster than it does text. Visibility (keeping every-one on the same page). Accountability (no more ‘he said – she said’) - holding people accountable for their decisions and actions . Whatever your line of business, you need real-time business-critical information to make informed decisions. That information needs to be on-tap and in a visual format so you can instantly gain insights into key areas of your business. Information and data in dashboard visuals gives you a heads-up on what's happening at Head Office and out in the field. How full is your Sales Funnel. What business is in the pipeline and which opportunities or issues are waiting on what next steps. Who is selling what, where and to whom. 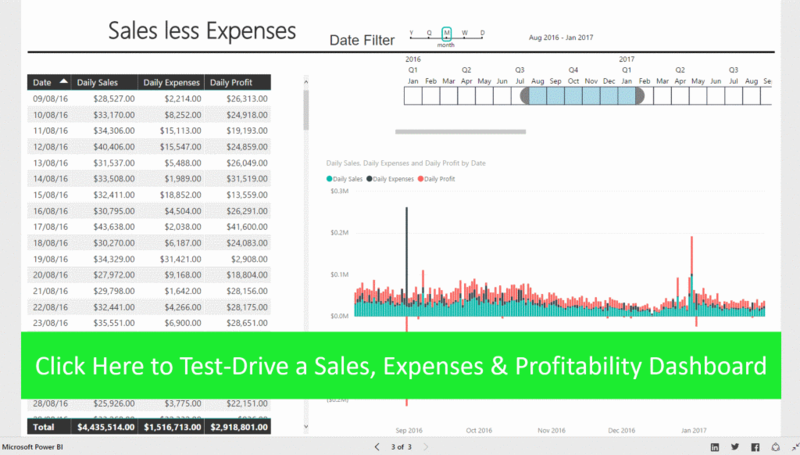 How are your expenses, sales & profits compared to last month, last year, last quarter. If your cash reserves are low you'll want to know where and why. Once these data are consolidated and displayed in a visual Dashboard, you also need to be able to easily share selected visuals with those involved. Disparate Data Sources & "Excel Hell"
What use to you is data that's tucked away, buried deep in Excel or out of date? Someone then needs to update complex spread-sheets, extract data into Pivot Tables eventually presenting you with something that takes an inordinate amount of time to digest. A picture or a visual of any information concerning your business helps you and your business to make better decisions, quicker and with more accuracy. Digital dashboards may be laid out to track the flows inherent in the business processes that they monitor. Graphically, users may see the high-level processes and then drill down into low level data. This level of detail is often buried deep within the corporate enterprise and otherwise unavailable to the senior executives. “Often buried” translates into disparate sources of information often held in Excel spread-sheets. Before Microsoft’s Power BI dashboard technology became publicly available in July, 2015, creating actionable dashboard reports designed to match various areas of business was a highly technical and expensive exercise. That is simply no longer the case. 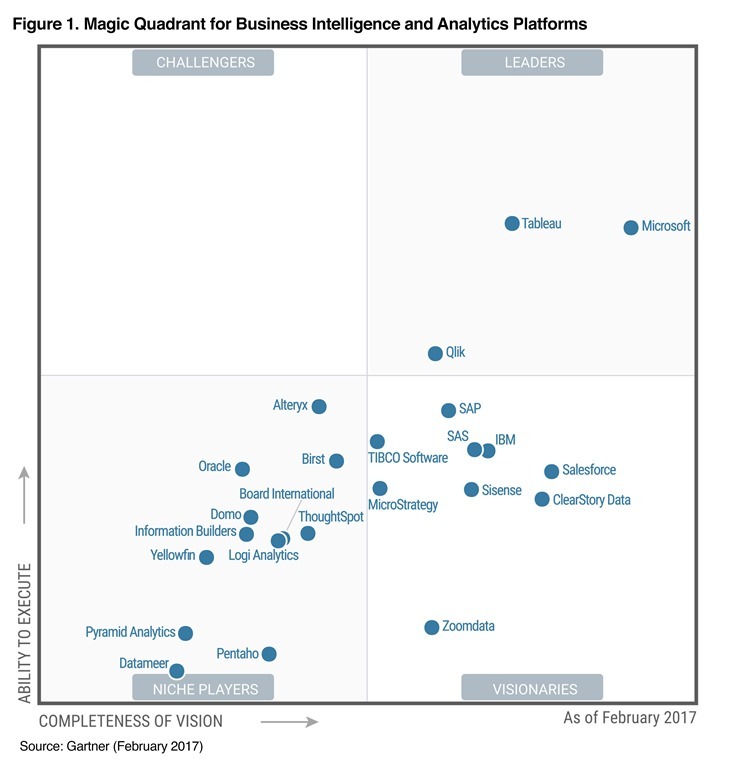 In a very short period, Power BI has catapulted to the top of Gartner Group’s annual “Magic Quadrant” report. So how can you take advantage of this amazing technology opportunity without becoming an IT nerd? Simple. We transform your data sources (most commonly Excel files) into stunning live business dashboards and reporting. But don't take our word for it. Test-drive the dashboard below and discover how you could make your business a whole lot more productive.